Deer love rice bran. It's not a secret anymore. 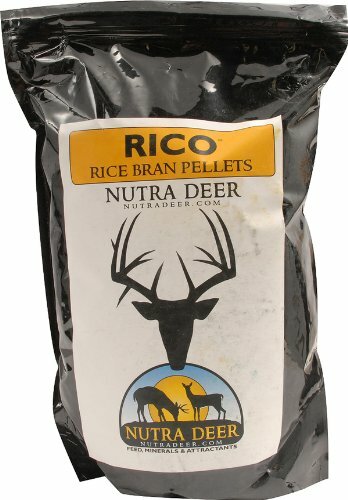 Nutra Deer's has released a revolutionary new product called Rico Pelletized Rice Bran Pellets and it works great in feeders or on the ground. The highly attractive Rico Rice Bran pellets are now packaged in a heat sealed Back Pack Bag that is perfect for those walks into the field where 50 lb. bags are not an option. All of Nutra Deer's Back Pack Bags were created for hunters to help hold deer at specific stand locations or to assist in getting numerous trail cam photos in remote areas. If you have any questions about this product by Outdoor Brandz, contact us by completing and submitting the form below. If you are looking for a specif part number, please include it with your message.